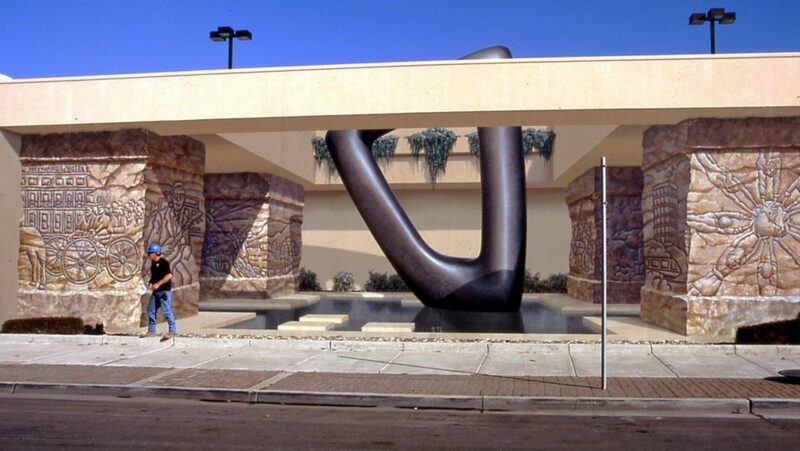 Paying homage to Hayward and its heritage, this grotto monument weaves different passages of the city’s past, as well as creating an elegant public space across from the City Hall. 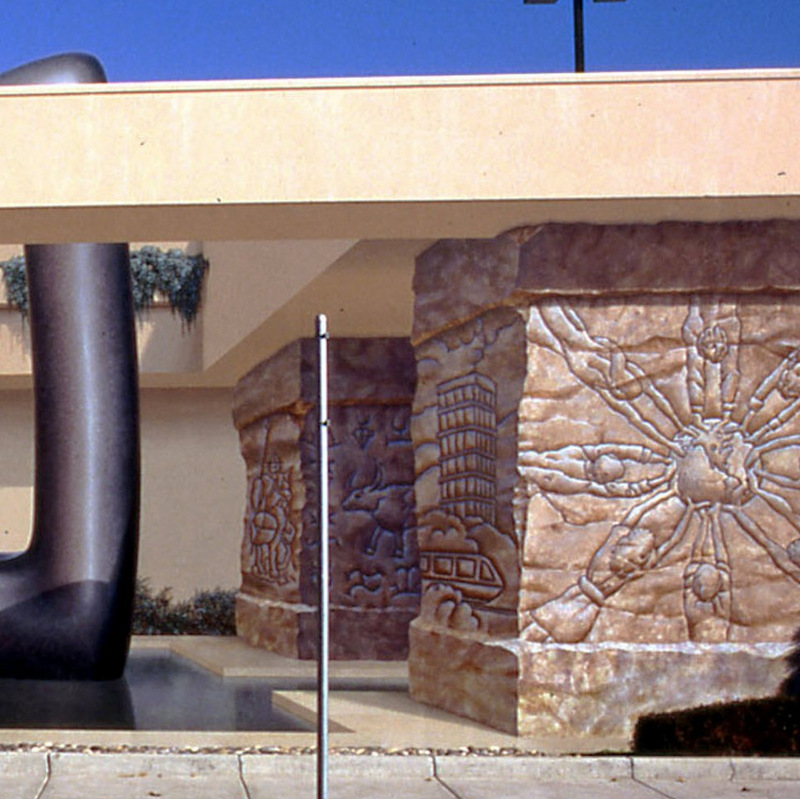 The meditative reflection pool, rough-hewn columns and smooth granite sculpture are a complementary haiku to the mural’s physical surroundings. 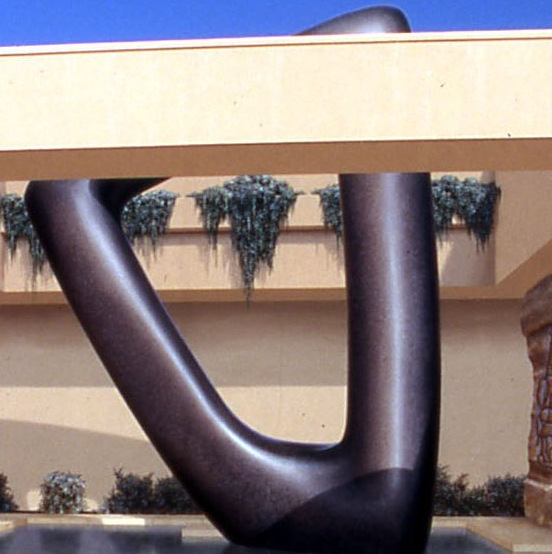 The sculpture, with its subtle harp-like shape, provides an elegant and lyrical center piece. Visually producing a circular energy flow, this piece seems to resonate a timeless melody like the distant song of a woodland harp. 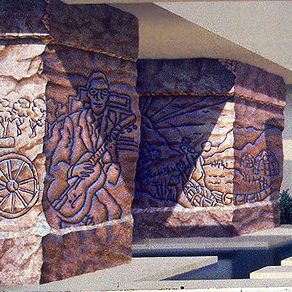 On the hewn pillars, a bas-relief story can be read – left to right, background to foreground. The back columns depict a coastal Ohlone village, the arrival of the Spanish Conquistadors and the settling of the great land grant ranchos. The left front column represents Hayward’s more recent history including Hayward’s Hotel – the cities’ namesake – and the era of Blues artists and Juke Joints of the Russell City district. Finally on the right front pillar is present-day Hayward. On the column face is a an ethnically varied group – embracing the Earth in unison – as a tribute to Haward’s harmony and cultural diversity. The overall feeling of Internal Melody is like a courtyard of nostalgic music; a tapestry woven from the fabric of Hayward’s past.